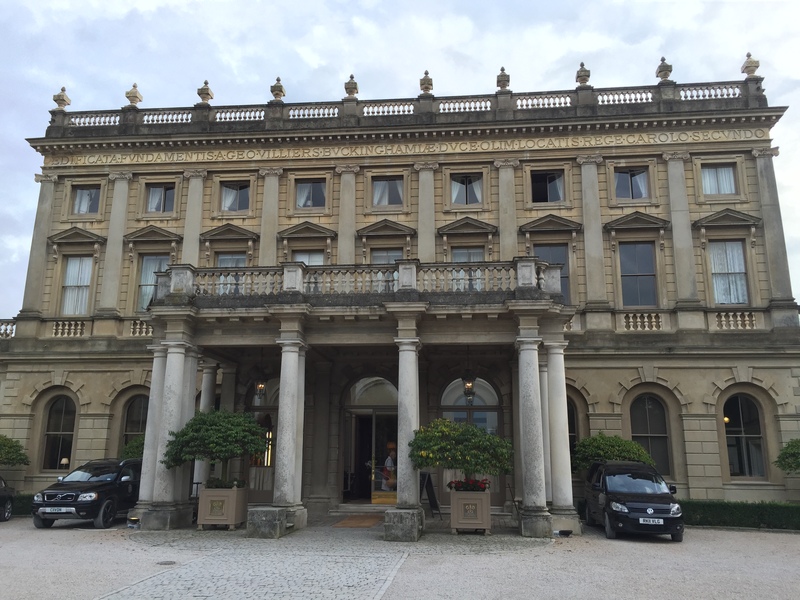 Cliveden House is a stately home in Taplow, not too far from Bray, and after a rather illustrious past (it’s where much of the Profumo affair took place) it’s now owned by the National Trust and leased as a five star hotel. It’s still very much a work in progress; some of the grounds were in the middle of being renovated and the hotel entrance and library room (not to mention the first floor terrace) could do with a bit of a makeover but even still, it’s an utterly beautiful place. The dining room (which really is the star of the show) was stunning; elegant and grand without feeling awkwardly stuffy. 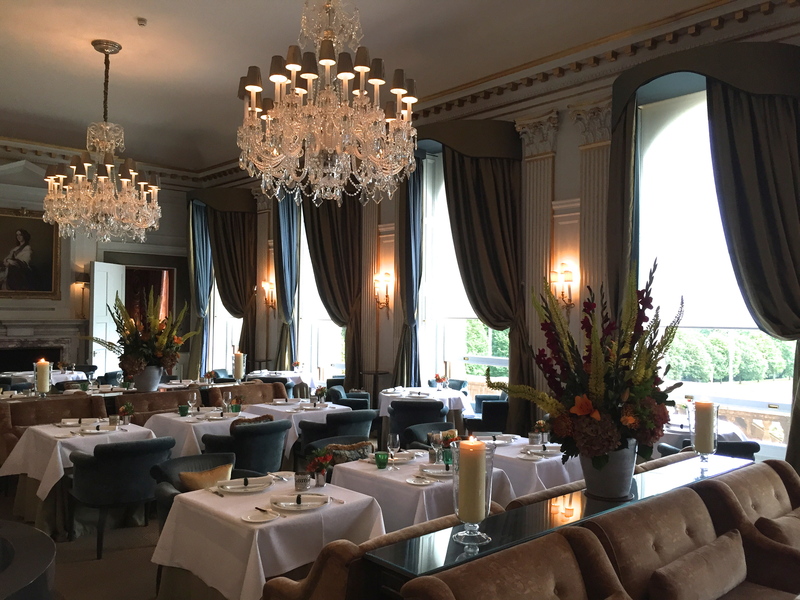 We had a table right by the open window with views of the rolling countryside – you could see for miles. 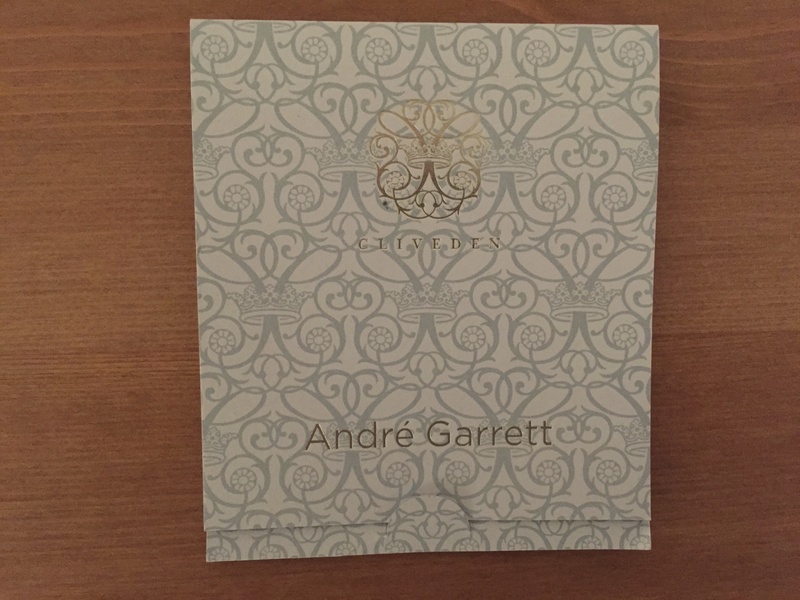 On Sunday lunch they offer three courses for £50 from a menu that all sounded rather enticing. 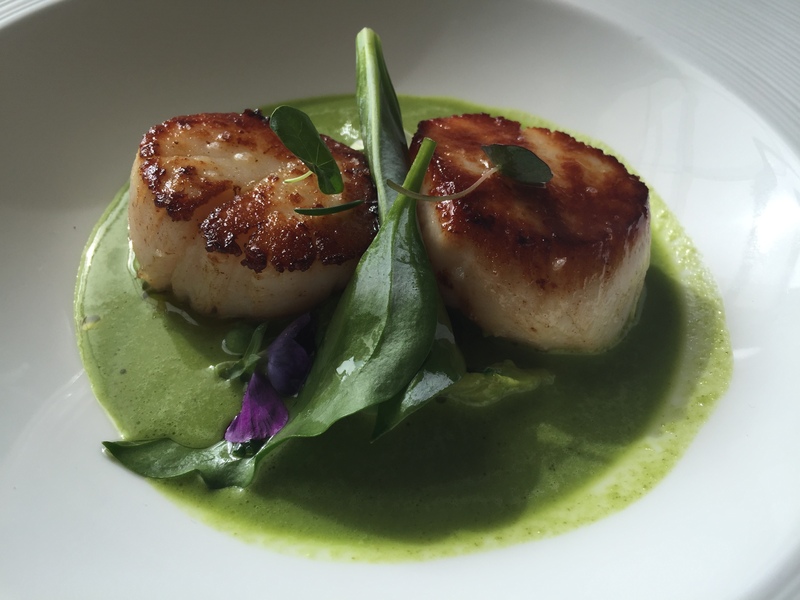 Seared Orkney scallops drenched in a rich lovage velouté sprinkled with fresh peas saw some of the finest scallops I’ve tasted in a long while; seasoned beautifully with a crisp exterior. My lime cured South Coast mackerel would only have been better if the accompanying compressed peaches had been more ripe; they were a little sharp and tough to cut through. 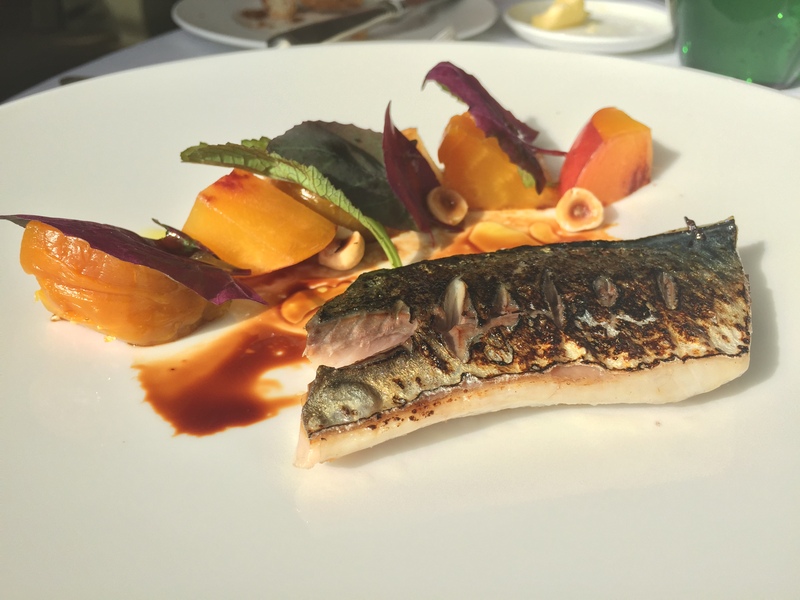 The flavour of the mackerel was lovely though. 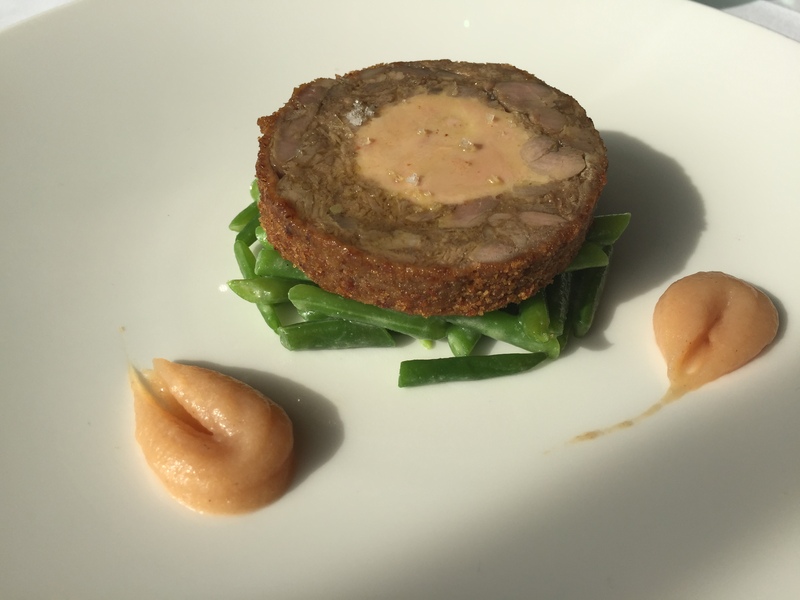 The ballotine of confit duck leg was beautifully rich which was partly due to the exquisite foie gras centre. The crunchy French bean salad helped cut through all that richness perfectly. 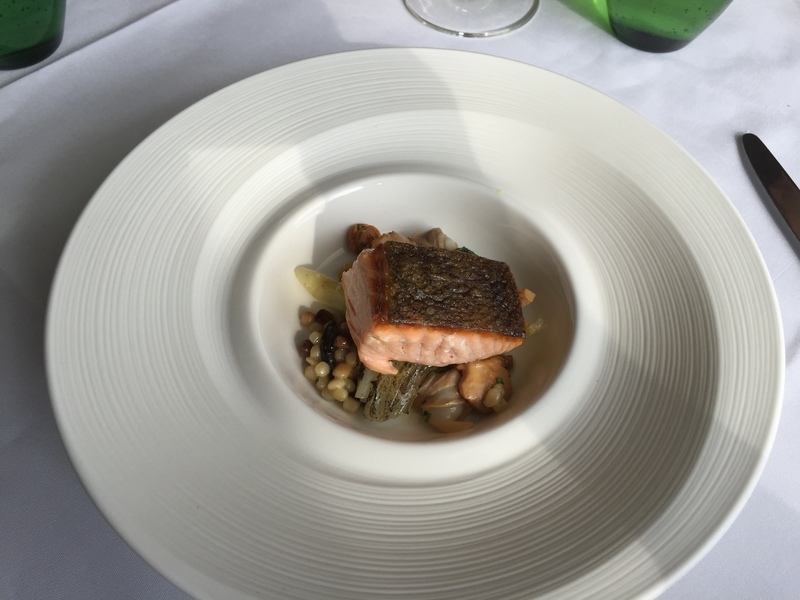 We were kindly treated to an extra dish as a gift from the kitchen; roasted Loch Duart salmon which was easily the best thing we ate. The salmon was so soft and flakey with the crispest skin possible and the sauce, filled with soft cockles and clams, was addictively good. 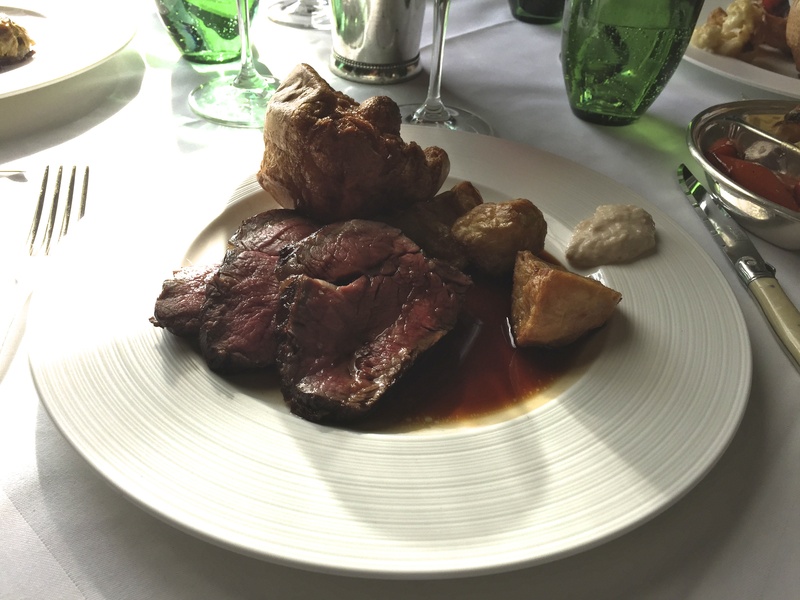 For main, the roast chateaubriand of beef was a cracking Sunday roast. Great big yorkies, crispy and well seasoned potatoes, plenty of gravy (sorry ‘Madeira jus’) and thick slices of soft, tender beef. There was plenty of it too. 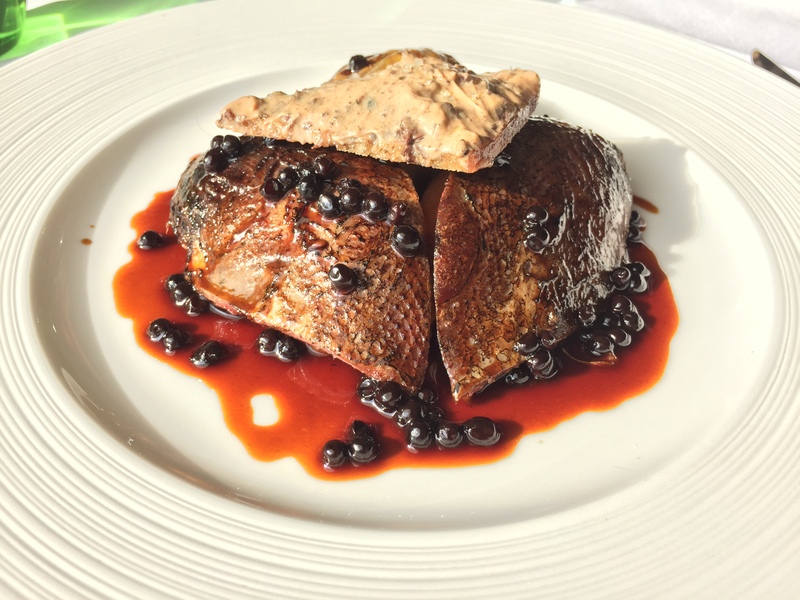 I went for the Yorkshire Red grouse which came generously drenched in Cliveden Estate elderberry jus which had the perfect balance between sharp and sweet; a great companion for the gamey meat. The little slice of toast smothered in the livers (and quite possibly the rest of the bird’s innards) wasn’t for the faint hearted but I loved every mouthful. 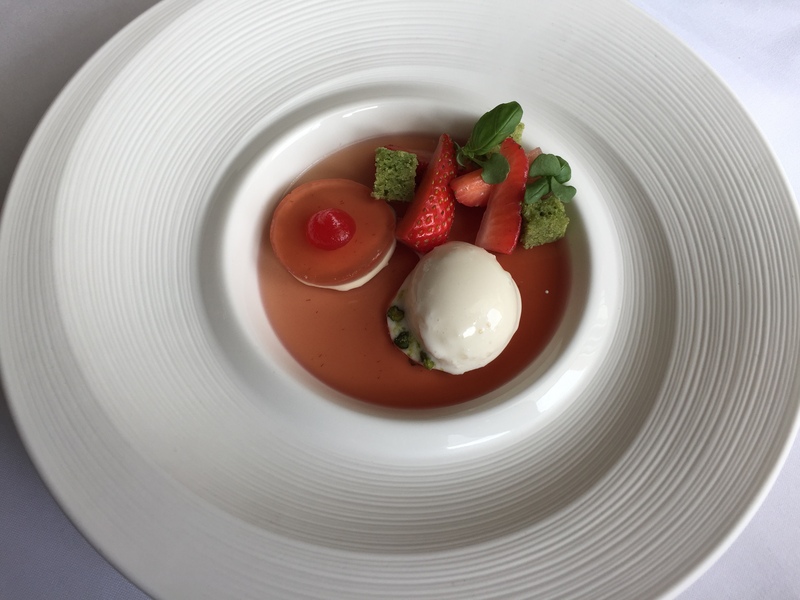 For desserts, the almond panna cotta topped with Gariguette strawberries was a bit too sweet for me. 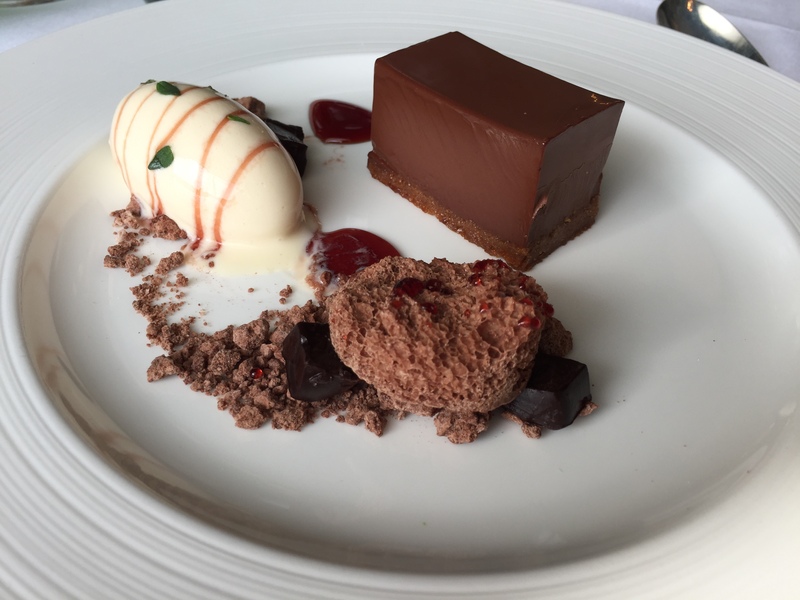 The pavé of Araguani chocolate with aerated milk chocolate and a brilliant thyme ice cream was a fantastic blend of flavours. 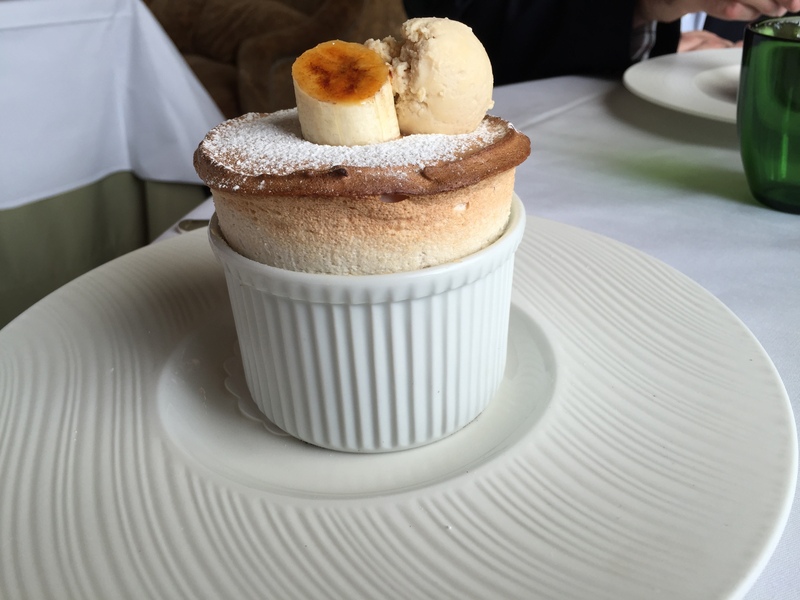 The highlight however had to be the caramelised banana soufflé which came topped with the most delicious peanut butter ice cream – it was the tastiest soufflé I’ve eaten in a long time. 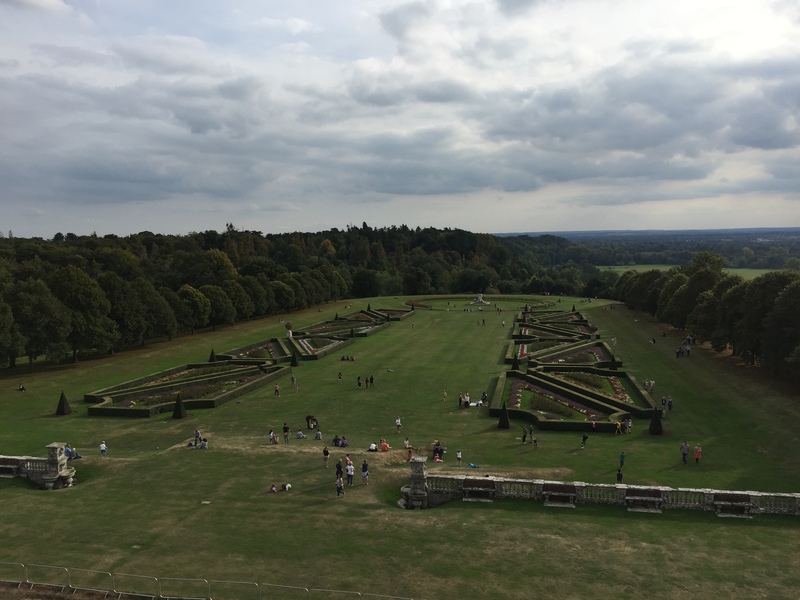 Cliveden House was the perfect choice for a spot of Sunday lunch with my parents; a beautiful lunch followed by a long stroll round the grounds made for such a pleasant day out. The staff were so friendly too which made us feel relaxed as soon as we arrived – it really is worth a visit.